Every country in the world has its own dessert or sweet recipe. 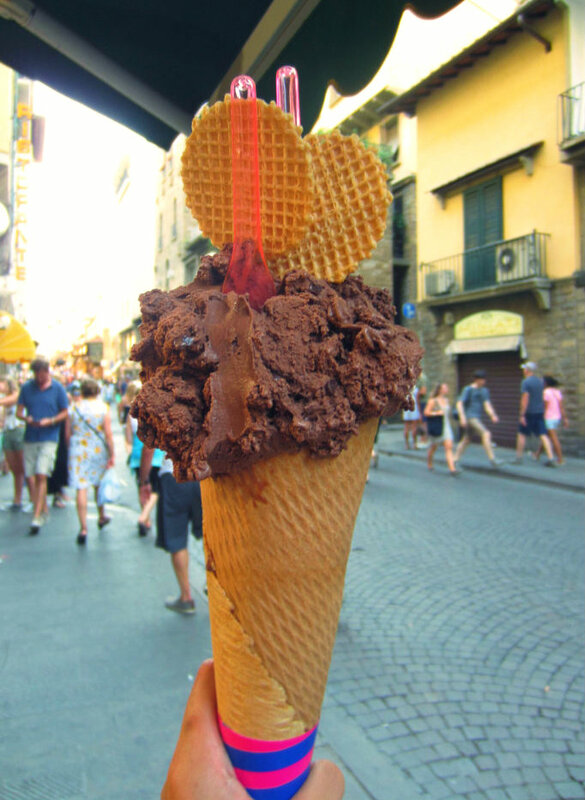 From Italian gelato to the Austrian apple strudel, whichever country you are visiting now, don’t forget to try a traditional dessert. 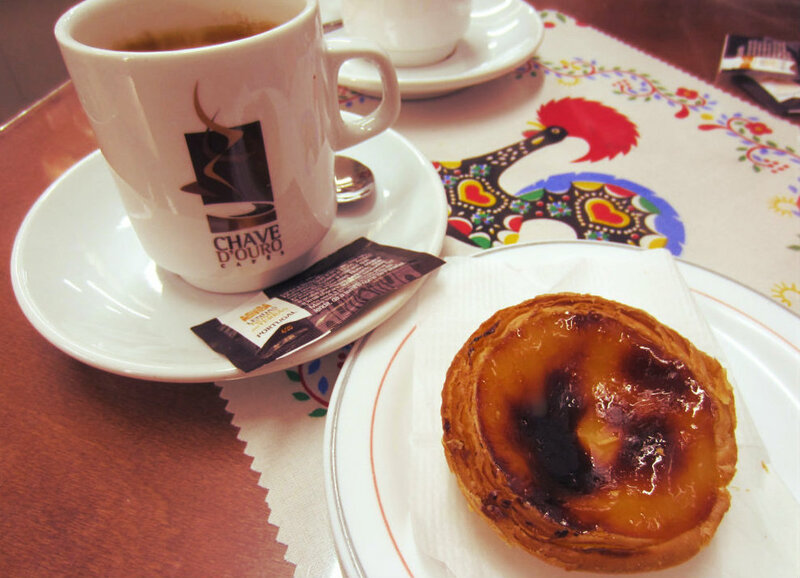 During our travels, we found many delicious and unforgettable desserts that are worth to try. 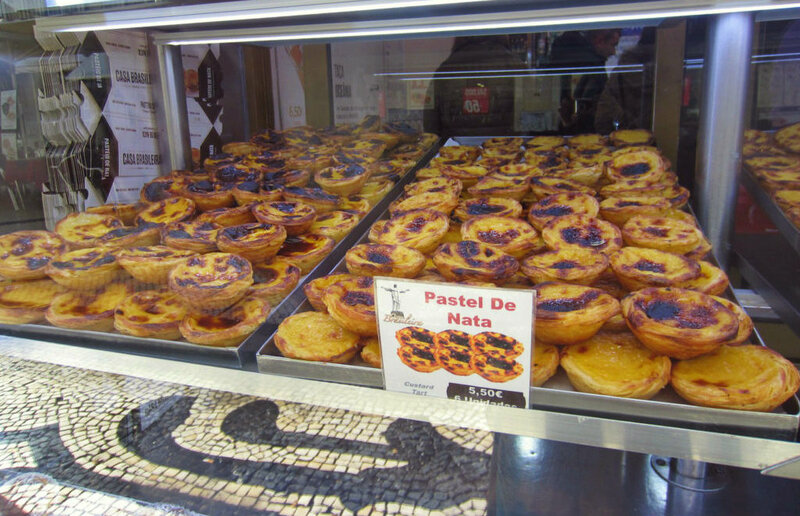 Therefore, I would like to share with you a list of our favorite sweets in 8 different countries. 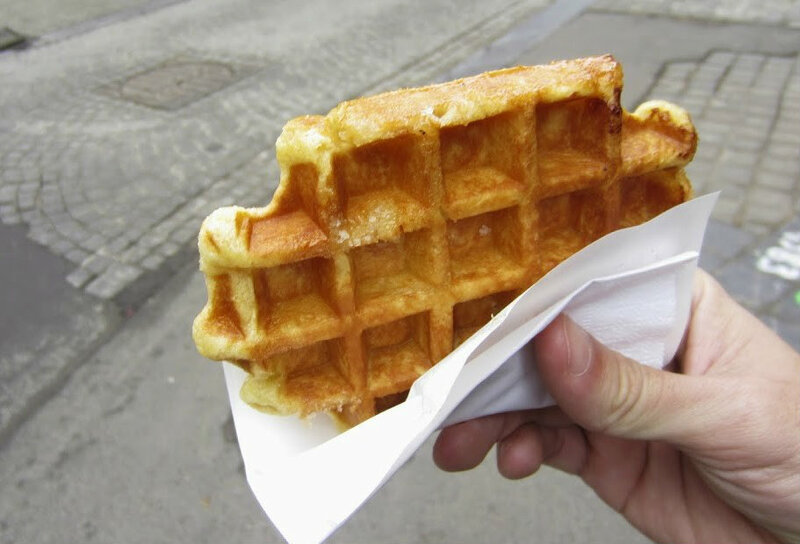 Who hasn’t heard of the famous Belgian Waffles? I would say no one. 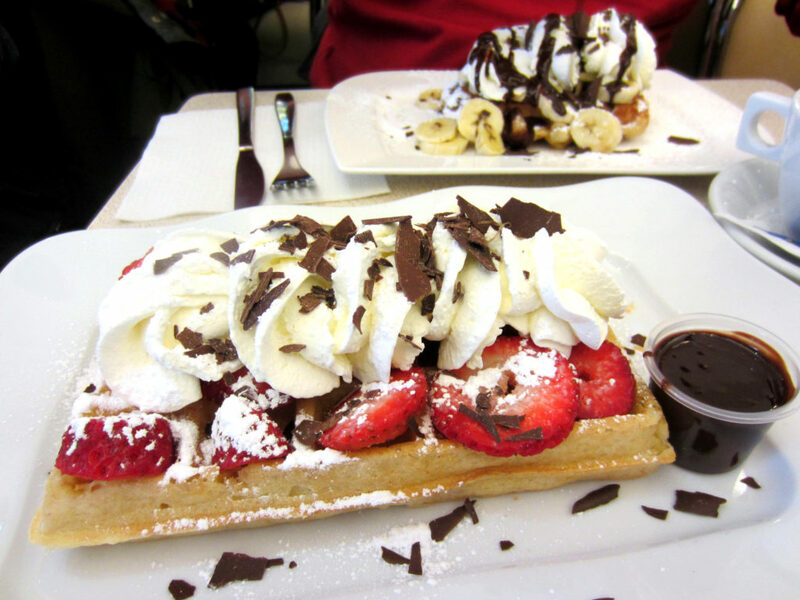 In Brussels, we tried waffles in different cafes and restaurants. They are everywhere in the city and usually, they are served with whipped cream, fruit (usually with bananas or strawberries) and lots of chocolate. The best waffles that we ate in Brussels were from the Central Station. A Cannoli is a traditional Italian pastry from Sicily. It is usually filled with ricotta or pastry cream filling. It goes perfectly with a coffee. 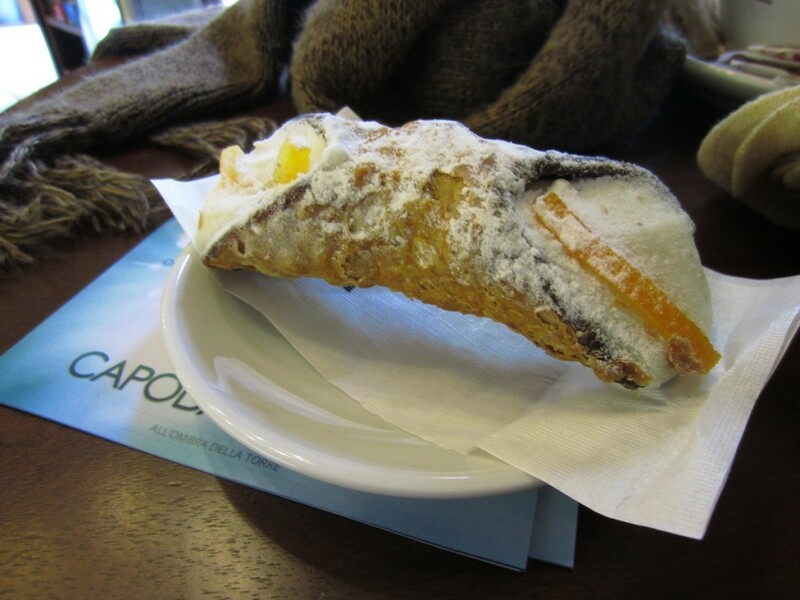 While in Italy, make a stop at any café or bar and enjoy a cannoli. Nothing compares with this amazing Apple cake. I can’t believe that I’ve never tried it before. 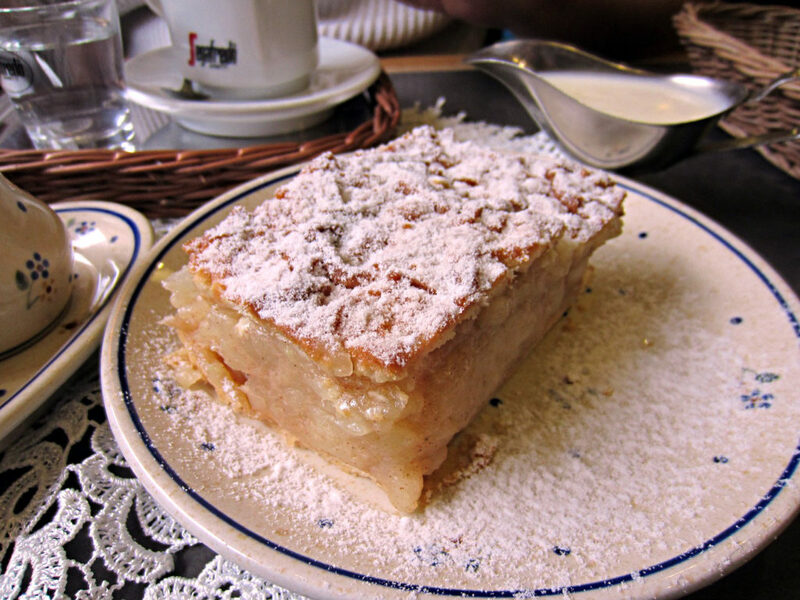 I ate this Szarlotka at Zapiecek Restaurant in Warsaw and I can honestly say that it was the best apple cake ever! I was surprised by the variety of pastries at a bakery shop in Split. 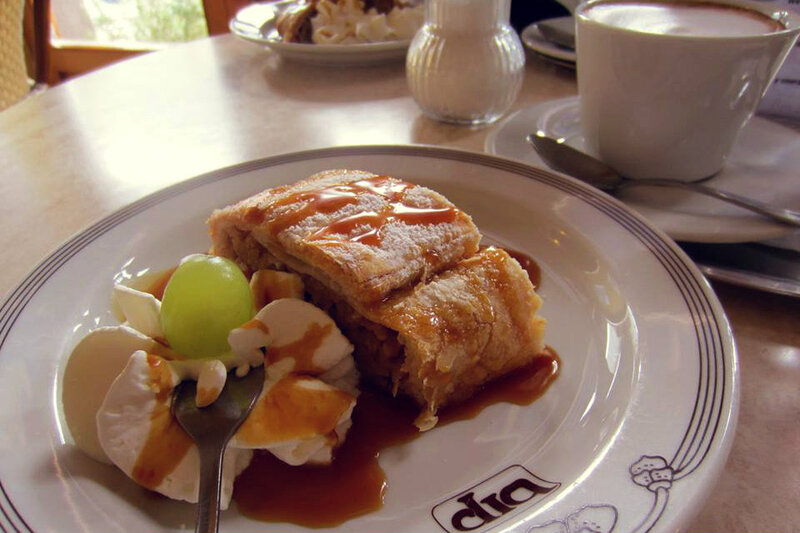 Croatian pastry is really good, trust me. 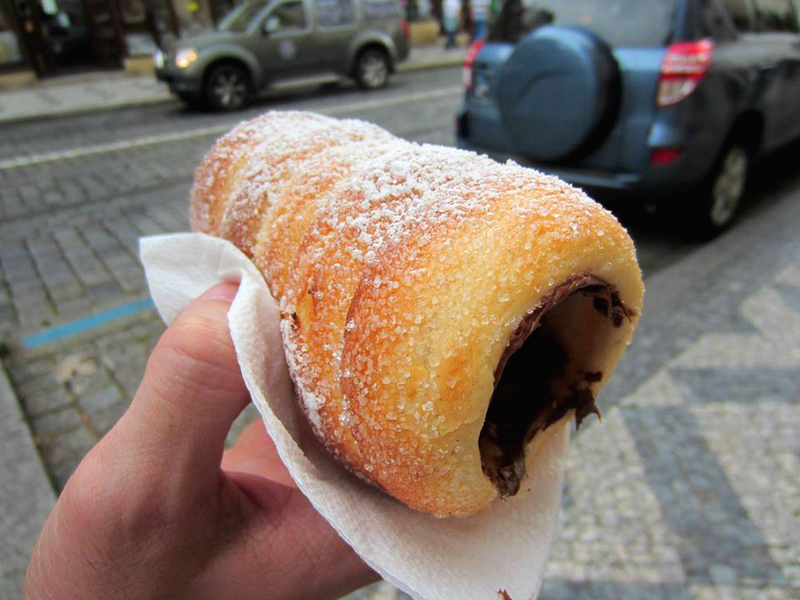 When we visited Split, we’ve tried a new pastry almost every day and they were all delicious. 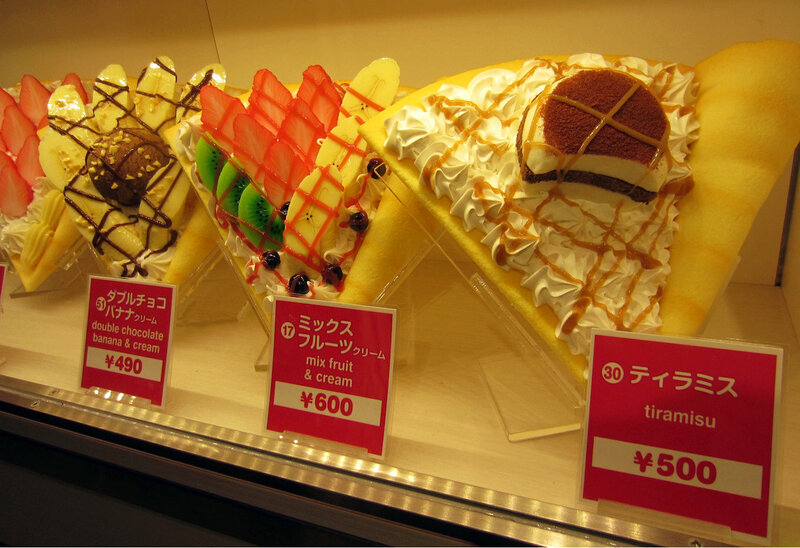 Another discovery was the Japanese crepe. Lots of fruit, whipped cream, and chocolate. So delicious! 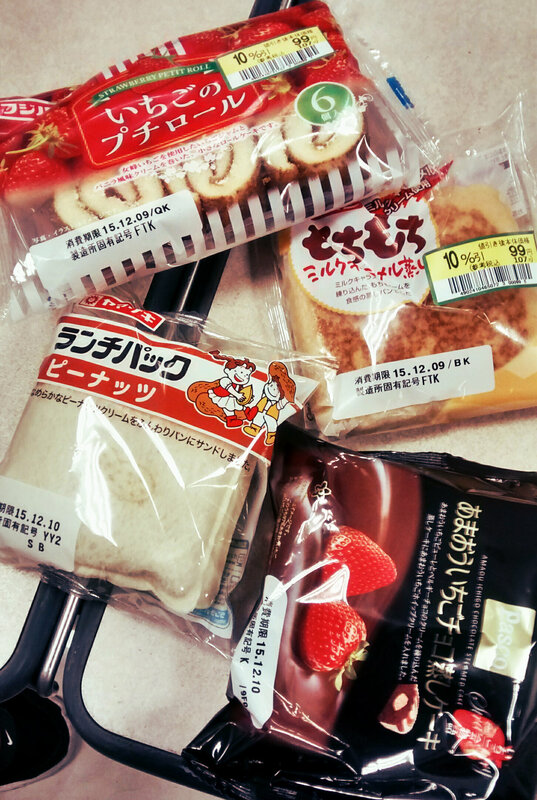 At any store or market, you can buy different kinds of Japanese cakes. So fluffy! Yum! After living in Germany for a while, I could say that germans love Cheesecake. 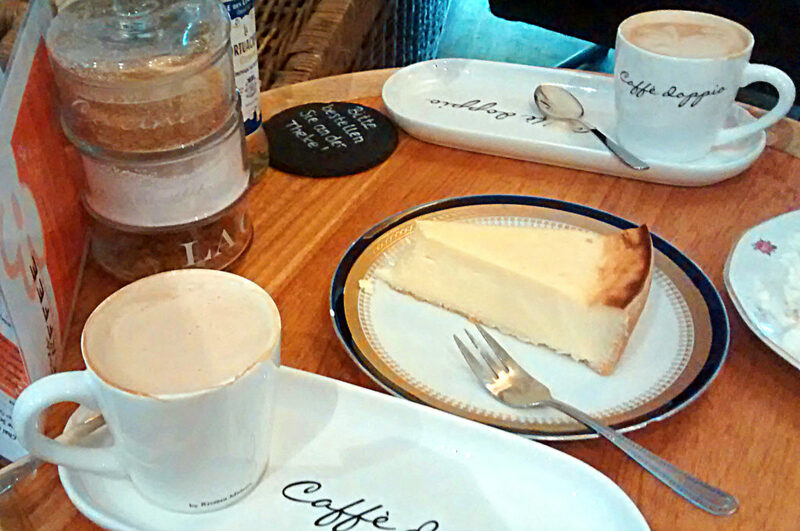 But this cake is not like the traditional NY-Style cheesecake. 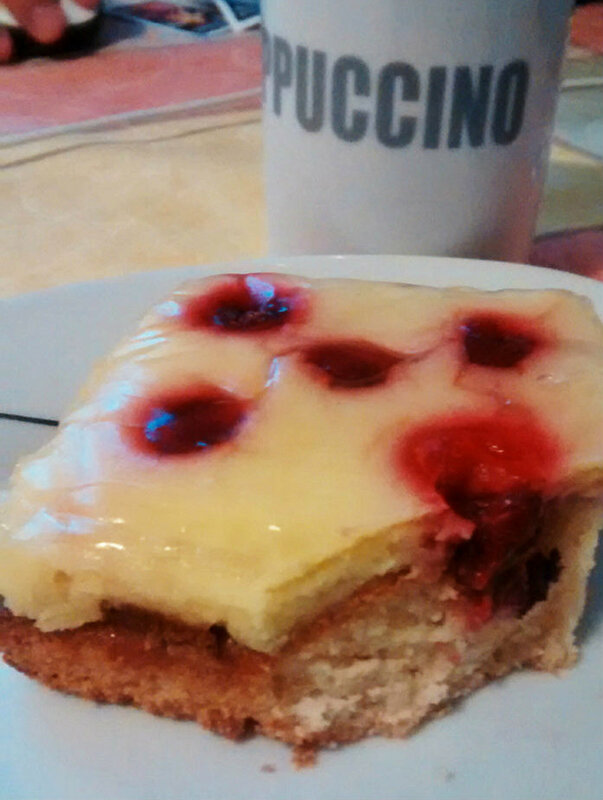 This one is made with quark and without any fruit on the top. 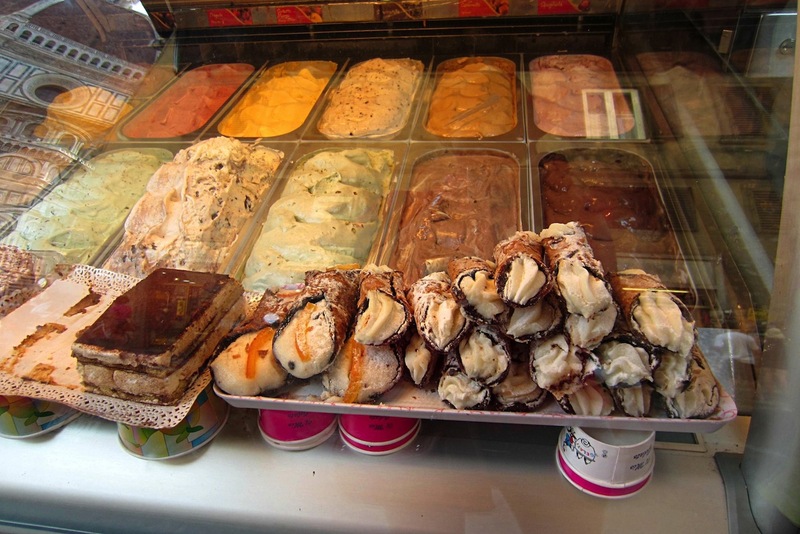 and for ice cream lovers… gelato! Yummy!